There's an old Victorian era anecdote about two young ladies watching a bride and groom get married. When both sailed out of the church arm-in-arm, one of the ladies asked the other, "Who's the groom?" The other lady answered, "Why, he's a fellow who used to fancy me, but I was advised to play hard to get and I lost him." The first lady then asked "Who's the bride? ", to which the other one replied, "She's the one who advised me to play hard to get." When it comes to getting advice, ulterior motives can be damaging indeed. In the payment space, we find it interesting that consumers are being advised by non-bank digital payment providers to abandon their banks. Are the non-bank payment providers being fully transparent about the security of their systems with their customers? Clearly, tech savvy customers are eager to embrace new technologies, but rest assured they would likely hesitate if undue risk were more evident to them. 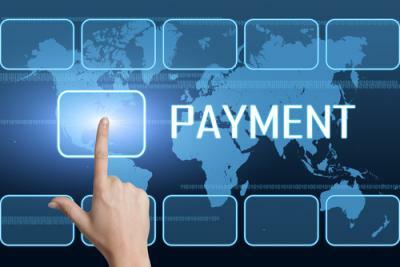 Non-bank payment providers have already made inroads on the trust issue, with 38% of consumers saying in a recent poll by Forrester Research that PayPal is the most trusted vendor for digital payments. We have nothing against PayPal and are sure its security is good, but the same survey found both banks and credit card companies clocked in at second place, at 35%. This has to be a concern for bankers. For community banks, there is hope that non-bank providers will have to finally play by the same regulatory and security rules as financial institutions do. The Fed recently released five security-related recommendations for the entire payments industry, as part of its long-term Payment System Improvement Project. According to a survey by the Fed, concerns focus on the fact that standards and protocols linked to payments are not keeping pace with market technology and advancements by cyber-thieves in lifting consumer data. The Fed is also concerned that mobile-payment transactions are at greater risk than traditional payments due to the greater number of parties in the process, plus unclear lines of accountability and oversight. More importantly for banks, the Fed wants everyone in the payment space to play by the same rules. The Fed is especially concerned that weak security technologies or processes can result in data compromises that damage public confidence in payment systems in general and feed the belief that existing security prevention strategies are inherently insufficient. Community banks can tilt the payments playing field in their favor by discussing potential risks customers may have using digital payments outside the banking system. By and large, bank customers who use debit or credit cards to pay for purchases have a significant level of protection and most banks protect their customers from fraudulent purchases on payment cards, as well as mobile and online apps. That type of protection is mostly not available for consumers using digital wallets from non-bank providers so customers should be informed. Banks need to make their case for better, more secure digital payments. Touting a strong, secure payments platform as a key component in a comprehensive strategy for digital banking isn't a luxury these days, it's a necessity in a digital wallet market that's worth almost $4T, according to Javelin Research. Perhaps this is just the sort of advice that one can take to the bank since some may be playing "hard to get" on the issue of digital payments. Treasury yields fells 3bps as a series disappointing economic reports revived worries about the U.S. economy. Yields are currently unchanged ahead of CPI, scheduled for release later on this morning. 1) State Bank ($168mm, IL) will acquire Harvard Savings Bank ($165mm, IL) for 1x tangible book, minus transaction expenses plus a $3mm premium. Harvard had been under pressure from activist shareholders. 1) Independent Bank ($2.2B, MI) sold a branch to Isabella Bank ($1.5B, MI) for a 6.0% deposit premium. The branch has $15.3mm in deposits. 2) Three bank holding company American State Bancshares (KS) will acquire 3 branches in KS from Simmons First National Bank ($4.6B, AR) for an undisclosed sum. 3) Fidelity Bank ($3.1B, GA) will acquire 8 branches in FL from First Bank ($5.9B, MO) for a 1.0% deposit premium. The branches have about $154mm in deposits and $32mm in loans. The Fed has proposed a rule that would require all banks to provide and accept same day payments, following a similar vote by ACH trade group NACHA. Comments are accepted through July 2. The US post office has released a report indicating current law does not allow the Postal Service to offer deposit products or loans. However, it did indicate it could offer more money orders, check cashing, money transfers and international remittance services. The CFPB has filed a consent order against PayPal for enrolling consumers into its credit product without their consent. The CFPB has fined PayPal $25mm and ordered it to improve disclosures and procedures to make sure consumers are aware they are enrolling or using PayPal Credit when they make a purchase. The SF Fed has published a paper that estimates real Q1 GDP is probably closer to 1.8% given issues in how the data is collected and adjusted.